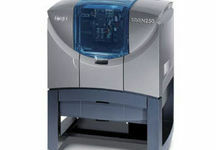 The Stratasys Dimension 1200es 3D Printer series gives you the biggest build envelope of any printer in its class. With the largest capacity, the 1200es 3D Printer series gives you the room to print models up to 10" x 10" x 12" (254 x 254 x 305 mm). Powered by Stratasys' genuine Fused Deposition Modeling (FDM) Technology, you can build accurate functional concept models, rapid prototypes and product mockups in colourful ABSplus thermoplastic. Dimension 1200es 3D Printers use ABSplus™ modelling material, a production-grade thermoplastic that is durable enough to perform virtually the same as production parts. Models printed with Dimension 3D Printers have customer-proven toughness - from commercial sprayers tested at pressures up to 60 psi, to final parts on M1 tanks normally machined in aircraft-grade aluminum & At the core of every model: FDM® Technology. Stratasys FDM (Fused Deposition Modelling) technology is the foundation for all Dimension 3D Printers. Models are printed from the bottom up with precisely deposited layers of modelling & support material. There’s no waiting for models to “cure” - they’re ready for support removal right from the printer. 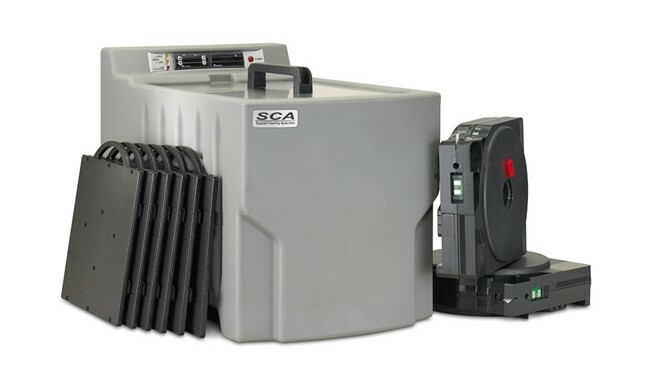 The Stratasys Dimension SST 1200es uses Soluble Support Technology which dissolves the supports in a water-based solution. The BST 1200es Dimension 3D printer however uses Breakaway Support Technology in which the supports are simply snapped off to reveal the final model. Then, models can be drilled, tapped, sanded and painted. Available at a highly competitive price and ideal where less complex geometry is required from your 3D model. 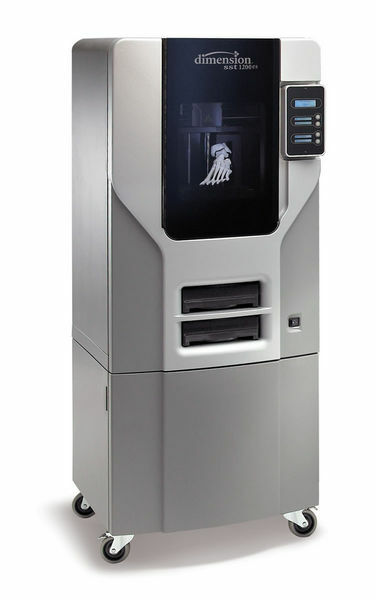 You’ll dramatically improve your product development process with Stratasys Dimension 1200es 3D Printer. They print models that can help you check form, fit & function, and correct errors prior to production. Versatile enough to produce functional models, moulds, patterns, customized tools and fixtures. 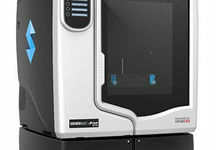 To shorten your product development cycles and accelerate time-to-market, start with Dimension 1200es 3D Printers - and bring your ideas to life.